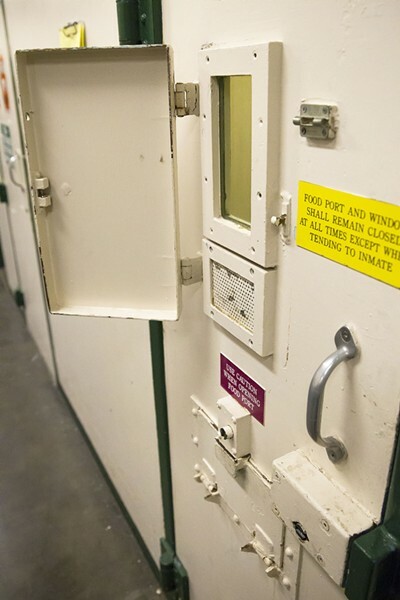 San Luis Obispo County is under fire again for its alleged role in the death of a jail inmate. The wife of Russell Hammer, a 62-year-old inmate who died in the jail in November 2017, filed a claim for damages against the county alleging that her husband suffered "horrible and inhumane treatment" that led to his death. STILL UNDER FIRE A recent claim alleges that SLO County Jail inmate Russell Alan Hammer was suffering from a host of physical and mental conditions when he was kept without medication in an isolation cell in 2017. Hammer died in custody on Nov. 27 of that same year. According to the claim, Hammer was suffering from Parkinson's disease and several other physical and mental health problems when he was arrested by Morro Bay police on Nov. 6, 2017, for domestic violence. Hammer was taken to Sierra Vista Regional Medical Center for medical clearance before being booked into the SLO jail. After being booked, Hammer was isolated and placed in a solitary "safety cell," where he spent the next two days alone without any of his prescribed medications, the claim states. Hammer's mental condition deteriorated to the point where he began eating his own feces at the command of his auditory hallucinations. The claim states that Hammer was taken to the county's Psychiatric Health Facility (PHF) for treatment on Nov. 8, and he was also seen at French Hospital before being retuned to the jail two days later. According to a coroner's investigation and autopsy report, Hammer died of a pulmonary embolism, or blood clot, due to deep vein thrombosis in his left leg on Nov. 27. A medical examiner ruled his death as natural, but the claim alleges that Hammer's death was the result neglect and mistreatment. It alleges that jail and medical staff erratically administrated medication and ignored signs and risk factors that Hammer was suffering from deep vein thrombosis. In a written response to questions from New Times, SLO County Legal Counsel Rita Neal said the county had received the claim and will be rejecting it. Hammer's wife can file a civil lawsuit in court. "In the event that litigation is filed after the claim is rejected, we will vigorously defend the county, our employees, and officials," Neal wrote.